Family I am a single mom with an adult son. Work history I'm a writer and editor for a valley non-profit. I worked as a trainer for Maricopa County Elections from 2005 - 2015. Prior to my injury, I was a small business owner. Previous public office First-time candidate. I’m a parent. My son was raised in the Arizona public education system. I know firsthand its value. I will work to ensure that today’s children have the educational opportunities my own son had through better teacher pay, ensuring professional accreditation for teachers and funding school infrastructure. We must make higher education and vocational training affordable. I have a deep record of community service. I've worked on public transportation, public safety, homelessness and equity issues in Arizona. As a gun owner and a survivor paralyzed by gun violence, I’ve worked here and at the national level on gun violence prevention. I believe we can protect the Second Amendment and promote public safety. My injury has given me a sense of urgency, we must stop kicking the can down the road and act courageously now. Like many Arizona families, I’ve had to fight – for healthcare, for employment, for dignity. I will fight for Arizona’s families. Governor Ducey's plan does not fully address the problem. We must increase teacher pay, properly compensate non-teaching staff, ensure that schools have the proper infrastructure to support our students: current books and technology; properly maintained buildings and equipment, all through a dedicated revenue source. Robust funding for public education must be a priority in next year's budget. We can pay for it by eliminating tax loopholes that allow large corporations to pay as little as $50 a year in state income tax. I support the Invest In Ed initiative. Schools that take public funds need to be equally accountable to the public. Currently, charter schools are not held to this standard. Yes. As a gun owner and a survivor of gun violence, I believe we can preserve the Second Amendment while addressing the public health issues caused by gun violence. Mass shootings, especially in schools are horrifying. The larger problem is suicide. Thus far, Arizona has been fortunate to have not had a mass school shooting. We have had a number of suicides. Add more school counselors to schools to reach the suggested one counselor for every 250 students. Strengthen gun laws and educate gun owners on safe storage to prevent children from gaining access to guns. I would not cut taxes. I believe we must invest in our infrastructure: public safety, public education, well-maintained roads and bridges, reliable water and electricity. Our taxes pay for these services. We must realign our tax code so that corporations pay their fair share. Yes. Marijuana should be legalized and taxed like alcohol. The revenue could be used to pay for public education. Legalizing marijuana would relieve our over-burdened criminal justice system leading to additional savings that could be redirected to funding Arizona's true priorities. No. A woman's right to make decisions about her own reproductive health must be protected. First and foremost, Arizona’s legislature must quit dragging its feet on the issue. We risk the rest of the basin states and Mexico coming to an agreement without us and just letting us take the brunt of the fallout. Yes. It is long past time for the full exercise of civil rights for our LGBTQIA+ community. I worked on the Phoenix measure to protect these rights. I will do so at the state level as well. No. Our nation was founded on the principles of freedom of religion. This would include freedom from religion. By creating a state that is welcoming to business and employees alike. We must have an equitable tax system where corporations pay their fair share. We must provide a public education system that attracts business and employees who want to raise their families here. We must ensure a livable minimum wage. No. I support the Save Our Schools initiative. Arizona should not support President Trump's border proposition. We must encourage our congressional delegation to create a path to citizenship for our DREAMers and DACA recipients and create forward-thinking, compassionate immigration policy. There is always room for improvement when it comes to the public safety of individuals. The legislature must do more. Pre-emption. We must return local control to the cities which are the incubators of innovation and best practices. Defunding public education. Education is an investment in our future. It not only creates a vibrant workforce ready for 21st-century jobs, it means healthier, more stable communities. We must make the funding of public education a priority in our state. We should accept the funding. More than $80 million of state funding was cut from child care subsidies during the recession. 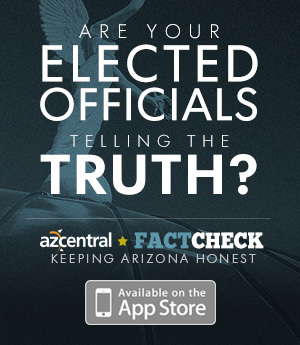 Arizona has dedicated NO general fund dollars to the program since then. This money could have helped thousands of children obtain early childhood or out-of-school care, and enable their parents/caregivers to work or go to school themselves, safe in the knowledge that their children are being taken care of in safe, nurturing environments. This is, sadly, another example of how Arizona continues to deprioritize the safety, care and education of Arizona's youth. Nearly half of all children in state custody are placed with family members and roughly a quarter of them are in that placement for more than two years. The current funding of $45 a month barely begins to cover the costs of caring for a child. If we are going to encourage family members to care for kids in state custody, the state needs to ensure that it does not create an undue economic hardship for these family members.